50 gr. 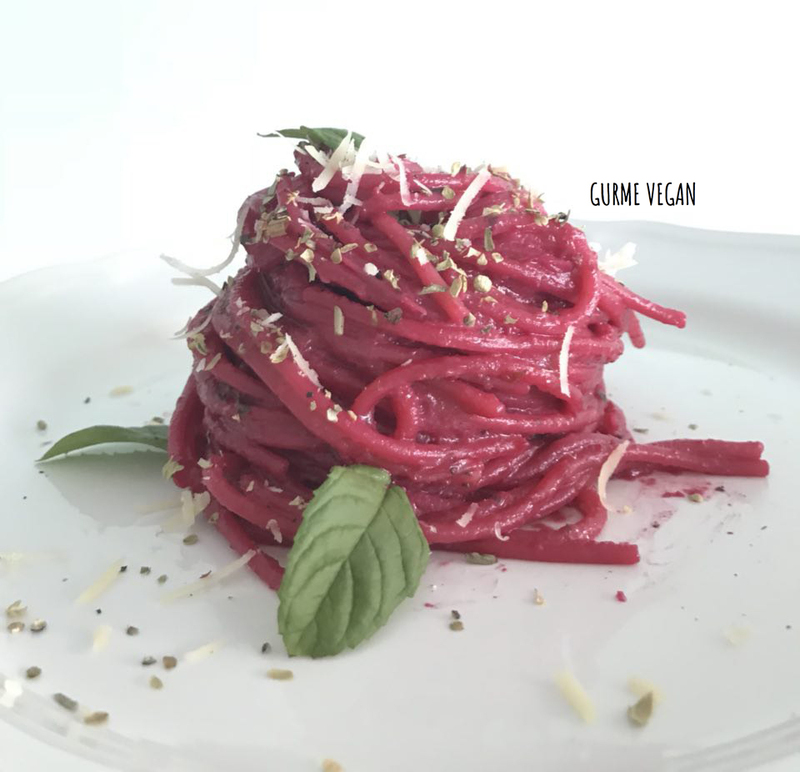 shredded vegan parmesan. 1. Bring to boil beets on high heat for 15 minutes. 3. Place roasted beets, almond meal, soy milk, green onion, pepper and salt in a food processor, mix on high until get completely smooth mixture. 4. Transfer mixture in a large pan, add 1 tbsp olive oil, stir on medium heat for 5-6 minutes. 6. Add spaghetti into the sauce. Mix until well combined. 7. Garnish oregano and fresh mint leaves. 8. 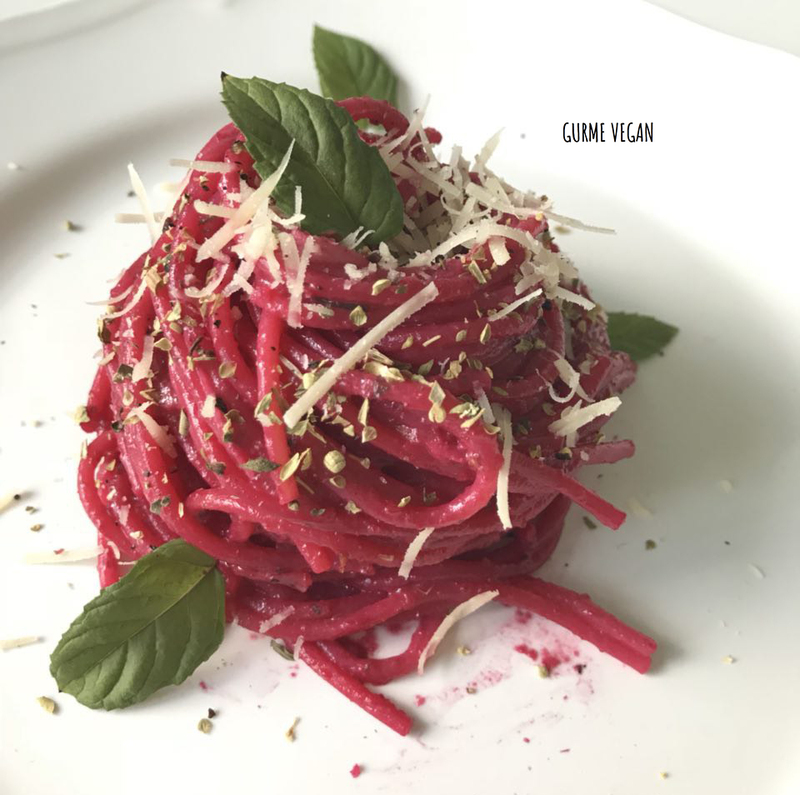 Serve warm with vegan parmesan!